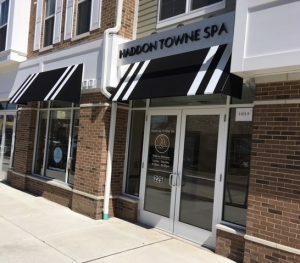 Welcome to Haddon Towne Spa! This masage technique is designed to relieve chronic muscle tension using strokes across the grain of the muscles (as opposed to with the grain of the muscles in Swedish massages). The therapist will target knots and utilize deep figure pressure that may be slightly uncomfortable. This type of massage is designed to address the special needs of our senior citizens. This includes gentle stretching and gentle application of massage techniques as well as light organic oils and creams to allow the therapists to massage your mussels without causing friction to your skin. A geriatric massage can improve circulation, increase mobility, improve posture and help develop an overall positive attitude. A sports massage is generally geared towards the client’s sport and particular needs but almost always involves stretching and deep tissue massage. For a runner the therapist will concentrate on doing a lot of leg work whereas for a tennis player the therapist will concentrate on the arm an below. This massage technique involves rubbing the muscles with long, gliding strokes, applying circular pressure with the hands and palms, firm kneading and gentle bending and stretching. Lotion is used to reduce friction and stimulate the skin. This increases oxygen levels in the blood, decreases muscle toxins, improves flexibility and circulation, and eases tension. This is the traditional Chinese massage. The technique is derived from acupuncture. Physical pressure is applied to acupuncture points by hands and elbows and is designed to stimulate the various points of the body and diffuse the toxic buildup that accumulates in the muscle tissue.